San Francisco’s image is of a center of culture, diversity, arts and justice. But when it comes to funding arts, we have fallen short. We all play a part in the cultural life of our great city, and all of us should care about public investment in under-served communities. Two city departments are dedicated to public investment in the arts: San Francisco Grants for the Arts and the San Francisco Arts Commission. The commission has been lauded for its Cultural Equity Grants program: indeed, it has been a national model. The grants program, however, has long been of concern to us and other members of the Board of Supervisors. We have questioned its performance in cultural equity and in keeping the city competitive and attractive to visitors as demographics shift. Along with artists and arts organizations, we’ve been concerned that the program is not meeting the goal of providing equitable resources to cultural and arts organizations in under-served communities. In 2013, the board asked for an analysis of the grants program’s funding practices. The findings validated our concerns: “Over the 25-year period, organizations representing people of color received on average 23 percent of GFTA funds,” wrote the legislative analyst. People of color make up nearly 60 percent of San Francisco’s population but the grants program devotes more than three-quarters of its funds to arts organizations whose leadership, programs and audiences do not reflect the lives and experiences of this demographic. This flies in the face of our stated ethos of fairness and equity. At an April hearing, the grants program’s staff acknowledged that its funding formula would create inequity, but made the dubious claim that California’s Proposition 209 prevents the city from redressing this publicly funded racial inequity. Prop. 209 has nothing to do with the guidelines for arts funding and should never be used as an excuse for inequitable service. No law prevents the city from launching programs that ensure broad diversity and fairness for communities served by small- and medium-sized arts groups and neighborhood arts organizations. We must fight to create the culture that connects and sustains us. For years, artists and organizations in under-served communities have made sacrifices to support the wealthiest institutions. It’s time for us all to work for equity. We thank Mayor Ed Lee, who made equity a budget priority by allocating $2 million over the next two years — a 50 percent increase — to the commission’s Cultural Equity Grants Program. This is the largest raise this underfunded program has ever seen. It is time for our arts funding to reflect our commitment to cultural equity and our strategic interest in being a cultural magnet for visitors. We should put our money where our art is: in the neighborhoods and communities that generate so much of our cultural vitality. Last spring the San Francisco’s City’s Budget Analyst Harvey Rose conducted a lengthy study of Grants for the Arts and found that communities of color received less than 24% of the agency’s grant monies, while they represent 57% of San Francisco’s population. Rose’s report contends that since 2006, GFTA’s funding to communities of color have been trending downward. In response, the Board of Supervisors Budget Committee transferred over $300,000 originally allocated to GFTA to the Arts Commission’s Cultural Equity Grants program. The City’s funding inequities will not disappear overnight nor without the Mayor and Board’s acknowledgement that the problem exists. The solution is simple and straightforward: Increase monies to SFAC’s Cultural Equity Grants, which addresses cultural equity, and have no budget increase allocated to GFTA until the agency publicly demonstrates its commitment to cultural equity. This solution affirms that all arts forms are neither more nor less important than others and consequently, no one form should receive the bulk of the city’s arts dollars. It also affirms that community art and artists can make a profound impact by preserving, promoting and fostering cultural expressions that authentically reflect the lives and experiences of all of San Francisco’s culturally diverse residents. This solution will not take away grant dollars from the non-profit arts groups the City currently funds. GFTA’s general operating grants play a valuable role in the arts community’s stabilization and they should continue doing so. We ask the Mayor, Supervisors, and all artists and arts groups to join in recognizing the existence of funding disparities and commit for equitable funding allocations using the same criteria through fair and transparent process for all arts groups, thereby promoting cultural, social, economic and health equity for all San Franciscans. We also ask for the Mayor and Supervisors to increase the investment to the arts overall so that equity can be achieved! 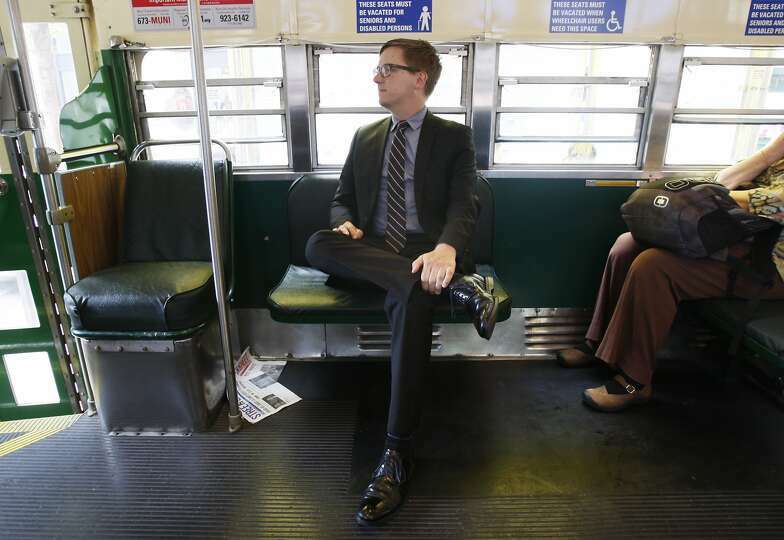 San Francisco Cultural Affairs Director Thomas DeCaigny rides a Muni streetcar to a meeting at City Hall. DeCaigny says his role is to bring concerns of artists to policy conversations. Growing up in the one-industry paper-mill town of Cloquet, Minn. (population 12,036), Thomas DeCaigny couldn’t have imagined that he would one day be the leading voice for the arts in San Francisco. Following a career in grassroots organizations, DeCaigny was appointed in January 2012 as cultural affairs director for the San Francisco Arts Commission, just in time for citywide growth and transition. DeCaigny’s outlook is well suited to helm the arts commission, which includes the civic art collection, civic design review, community arts and education, cultural equity grants, public art and several cultural centers. Upon arrival in San Francisco in 1998, after earning a bachelor’s in dramatic arts at Macalester College, he worked in nonprofits focused on theater, HIV prevention and youth workshops. He managed the AIDS Memorial Quilt’s National Youth Education program before joining the Performing Arts Workshop, a nonprofit focused on youth art education. In his nine years as executive director, he advocated for the arts in public education at the local, state and national level, and increased annual revenue, from $529,000 to $1.4 million, through federal funding for education research and strengthened alliances with donors and private foundations. DeCaigny’s ability to cultivate partnerships played a part in his appointment following the resignation of Luis Cancel amid mismanagement issues. Other issues are complicated, such as the woes facing nonprofits. He represented the arts in the Working Group on Nonprofit Displacement, a group of officials and stakeholders who put forward a recommendation for $4.5 million, approved by the Board of Supervisors, to assist nonprofits being priced out of the city. On the recent tech and real estate booms and their impact on the arts, DeCaigny is pragmatic. “There is this sense that we need to mourn the moment,” he said, “but what if we could take the visibility that the city has now (in the media) to create new solutions? There is a real way in which San Francisco could lead the country in looking at these issues. This is an historic moment. Just now Supervisors Eric Mar, London Breed, John Avalos, and Mark Farrell voted unanimously to transfer the currently un-allocated $191,000 from GFTA to San Francisco Arts Commissions Cultural Equity Grants. Because GFTA was not able to demonstrate follow through on their promise last year to fund ‘fragile’ arts organizations, the supervisors believed it was inappropriate to have any new money go towards GFTA. No current GFTA grants will be affected. The total new monies going to the SF Arts Commission will be $316,000 ($191,000 re-appropriated from GFTA plus the $125K already proposed). Supervisors Mar and Breed led the way in getting to the root of the inequity at GFTA. When it came to the vote, and without hesitation, Supervisor Avalos and Farrell voted in favor of the transfer. While we celebrate incremental gains, our work is not done. The ultimate goal of bringing both arts entity together under one roof, where both public entities share a common programmatic and civic vision, is still at hand. There is a hearing set for July 16 regarding the San Francisco’s City Budget Analyst Report about the San Francisco Grants for the Arts. This hearing will lay the framework on how cultural equity will be moved forward. Please take a moment and thank all the Supervisors for their vision, leadership, and determination to see this through. Last Friday, I asked that an email action alert, received from a prominent San Francisco arts advocacy group, be forwarded from Theatre Bay Area, under my name, seeking action and support from Theatre Bay Area’s San Francisco members. That letter contained some unfortunate—and untrue—language about “fringe members” of the arts community. I am deeply sorry for not noticing this language in the original template and for forwarding this assertion to our San Francisco members. Not an excuse, but an explanation: I was out of town most of last week attending the TCG theatre conference in San Diego—and on the first day I was in Tijuana with a contingency exploring ways to encourage cross-cultural exchange and greater awareness about the horrific issues along the border and around immigration. I absolutely admit, and deeply regret, not reading closely enough the template letter forwarded to the arts community. Because I read the action alert too quickly, I missed the “fringe members” language, a phrase which is itself demeaning and divisive. Since Friday I have been greatly relieved to learn that there is no current move to take funds away from either Grants for the Arts or the Arts Commission and its Cultural Equity Grants. Indeed, there is redoubled effort on behalf of the field to win more support for both. I also want to gratefully acknowledge Supervisor Eric Mar’s leadership on this issue—and his commitment to this city and the arts. This is a moment when our city is experiencing another economic boom. Some are reaping tremendous benefits, but many others are not and are in fact being squeezed out of what they have struggled hard to achieve. It is a time of scarcity, yes, but also abundance. We must take this opportunity to tap that abundance for all. While it was good to see Supervisor Mar’s name cleared of the lies leveled against him there was never any attempt made to move any money from San Francisco’s Cultural Equity Grants so why even bring it up? More on that later…. But who is the prominent San Francisco arts advocacy group“? Recent emails sent to this list have raised a few questions and concerns, so we wanted to provide clarification. We also want to apologize for any miscommunication or confusion. First, last week an email was circulated to this list in an effort to communicate about a budget proposal to cut funding from Grants for the Arts in an effort to increase funding for cultural equity grants from the Arts Commission. That email was sent by a consulting firm that the San Francisco Arts Alliance works with to help us organize and communicate with the City called BMWL & Partners. That email mistakenly referred to the supporters of that proposal as “fringe” – and for that BMWL is deeply apologetic. That language was inappropriate and divisive and it does not reflect the viewpoint of the San Francisco Arts Alliance. Instead, we believe – along with BMWL – that we should all be working together to find ways to address inequity in the City and to support increased funding as one way to accomplish that goal. Second, we want to explain who the Arts Alliance is and what the Arts Town Hall is, and their relationship to these emails. The Arts Town Hall is an event that has been occurring since 2011 and focuses on bringing together arts and cultural organizations in San Francisco to educate policymakers about the role of the arts and to advocate for our common goals. Candidates for San Francisco Supervisor are invited to participate in these discussions to ensure they are thinking about the arts, our impact on the community, and ways to work together to help support arts organizations and artists. The goal is to advance policy to lift everyone up – through increased funding for all arts organizations, creative policies to protect housing for artists and space for arts organizations, investing in arts education and more. The Town Hall is planned by a volunteer organizing committee of about 10 people that varies year by year, representing a wide variety of arts organizations. These people dedicate their time to help planning a successful event, and have not been directly involved in recent communications regarding City funding. The event itself is funded by a combination of donations from arts organizations and direct financial contributions from the San Francisco Arts Alliance. The logistics of this event are supported by BMWL in their capacity as the consultant to the San Francisco Arts Alliance. The San Francisco Arts Alliance is a coalition of the 15 largest budget arts organizations that has been in existence for many years. It was founded to create an opportunity for the leaders of these organizations to share best practices and mutual concerns. In response to significant budget cuts made to arts funding over the last ten years, the organizations decided to also work together to advocate for increased funding for the arts community from the City. We have always advocated for more funding for all arts groups no matter where their funding comes from – the goal is to raise the bar for all arts funding in San Francisco. Supporting the Arts Town Hall is an example of the Arts Alliance’s commitment to bring the arts community together to advance strong policy. As we move ahead as an arts community, we hope we can work together to solve the important issues facing all artists and arts organizations. These are incredibly tough times, as we face the devastating impacts of the affordability crisis after years of state and city underfunding. By standing together, we can turn the tides in San Francisco and protect the arts. What does the second apology letter tell us: First, it reveals that the prominent San Francisco advocacy group, referenced in Theater Bay Area’s apology was Arts Town Hall. Second, it reveals that Arts Town Hall, SF Arts Alliance and BMWL can be considered one in the same. Why else would a letter written in the first person by the Alliance be distributed on Arts Town Hall letterhead referring to Arts Town Hall in the third person? It points to the fact that Arts Town Hall’s messaging and email systems are controlled by BMWL and Partners, the lobbying firm retained by the Arts Alliance. This would explain why the Arts Alliance was first distancing itself from – then re-aligning itself with BMWL all within the same email. Though referenced as a “consultant” in the Arts Alliance apology, BMWL is in fact a lobbying firm that makes regular filings with the San Francisco Ethics Commission with one of their main clients being: The San Francisco Arts Alliance. If you do a google search for: “San Francisco Arts Alliance” – use the quotes – you’ll find no public website, and of the first 10 results 6 are about the San Francisco Arts Alliance specifically; and of those, 4 are related to lobbyists or lobbying efforts. Apologies in the political arena of the kind issued by the Arts Alliance only come when those caught perpetrating them are so off base that they are easily called out because of it. The REAL issue that has always been at the forefront is the inequity in Grants for the Arts funding allocations as laid out by the City’s Budget Analyst Report. The findings in the report have NEVER been addressed by Arts Town Hall, the Arts Alliance or BMWL. Any change to the status quo will effect the narrowly defined self-interests of the largest budget organizations. In that regard the Alliance membership sees their interests to GFTA funding as directly opposite to the interests of the rest of the arts community, particularly those calling for cultural equity. If cultural equity is SO important to the Arts Alliance then why not drop the lip service (“cultural equity is important”, “no current move to take money away from GFTA or Arts Commission and it’s Cultural Equity Grants”, and “specifically fund Cultural Equity Grants”) and get on the side of of the disenfranchised. Equity in the arts is not something that came up yesterday. These large institutions could have been working alongside the rest of the arts community all along, but they have never seen it as in their interest to do so. As revealed in the Budget Analyst’s report this has been the state of affairs for over 25 years..
Why are people upset? Every year during budget season the arts community is told not to make waves, that equity will be talked about later. But every year nothing happens. And as the years go by the inequity deepens and communities of color are pushed further and further down the equity ladder. These communities don’t have lobbyists, all they have is their voice, their pain, and their human and civil rights to demand justice. Restorative Justice. This year with the great leadership on the Board of Supervisors including Supervisor Mar, Supervisor Breed, Supervisor Avalos, Supervisor Chiu, Supervisor Campos, Supervisor Kim, Supervisor Yee; and the other supervisors who have not have a chance to speak on the issue; there is a chance for change – not just lip service. SF arts funding prioritizes symphony, other stuff white people like | SF Politics. Michael Tilson Thomas directs the San Francisco Symphony. Are arts grants skewed towards art white people favor, like orchestras? Disadvantaged artists might be getting the short end of the paintbrush in favor of the city’s more affluent art community in Mayor Ed Lee’s proposed 2014-16 city budget. That’s what a seemingly endless line of advocates expressed in a hearing in front of the San Francisco Budget and Finance Committee Friday [6/20] when given the opportunity to suggest ways to better apportion funding in the budget. According to a recent report from the Budget and Legislative Analyst’s Office, the dissenters might be onto something. The report details the allocation of funding from Grants for the Arts, revealing that 76 percent of GFTA’s grant money will go to art organizations with primarily white audiences. This figure is right in line with the funding priorities from 1961, when the city’s population was 82 percent white. Today, people of color make up 58 percent of the city’s population, while the white population has been nearly cut in half over the course of the five decades since 1961. But that hasn’t stopped GFTA from devoting more than three-quarters of its funds for art organizations whose audiences are predominantly white, the report found. GFTA’s self-proclaimed goal is to “promote and support the widest possible variety of arts and culture activities in the City,” although it’s hard to imagine it had that in mind when devising the budget plan for the upcoming fiscal year. This isn’t the first time GFTA has snubbed underprivileged artists. According to the Budget Analyst’s report, GFTA actually reduced its percentages of funding to arts organizations of color from 2006-07 to 2012-13, and the agency’s funding for those organizations has not improved over the last 25 years, despite the city’s radically shifting demographics and the lip service regularly given to diversity at City Hall. GFTA has no plans to improve its grant money allocation, according to the report. Officials at the agency declined to comment when contacted for this story. Arts spending proposed in the mayor’s preliminary budget. When the Budget and Finance Committee heard public comment today about the mayor’s proposed budget, a great deal of the discussion centered on cultural equity and providing increased funding for disadvantaged citizens in the arts. Numerous speakers cited the city’s changing demographics and the reality that the city isn’t made up of an enormous majority of white residents anymore, calling for more art funding for people of color, despite the budget’s lopsided allocation of funds to the white demographic. Allocating more funding for the Cultural Equity Grants was an oft-mentioned method for better supporting disadvantaged artists, with the project-based grant system receiving 25 percent of the commission’s budget in the 2014-15 fiscal year. The number of grants awarded each year has remained relatively stagnant in recent years, with 94 grants awarded in 2012-13, a projected 100 to be given out in 2013-14, and a target of 100 in both 2014-15 and 2015-16. The number of street artists supporting themselves by selling their work isn’t progressing much either. The city issued 176 new licenses for such artists in 2012-13, but is projected to dole out only 122 in the current fiscal year. The new proposal targets similar numbers to those from 2012-13 (179 and 183 licenses in 2014-15 and 2015-16, respectively), further affirmation of the sluggish advancement of the mission to ensure that all cultures of the city are represented. But disadvantaged residents in the arts aren’t the only ones who stand to be affected by the proposed budget, a fact that wasn’t lost on many concerned advocates. Lee calls for a budget of $13.9 million for the Arts Commission in 2014-15, a relatively minor 2 percent decrease from the 2013-14 budget of $14.2 million. The real drop-off occurs in 2015-16, however, when the Arts Commission budget decreases by a full 8.4 percent from the previous fiscal year. The Mayor’s Office declined to respond when contacted for this story. Needless to say, members of the art community as a whole weren’t thrilled about Lee’s sharply declining emphasis on the arts, and they voiced their concern toward the Committee on Friday. The city’s lack of aid for the general art community, in addition to simply underprivileged artists, had many speakers understandably up in arms. Below we’ve embedded Harvey Rose’s report on skewed arts grants funding. One of the blog topics I left off last week’s list of issues has taken on more of a sense of urgency this week. I kept it off last week’s list, because I wanted to write about it at some point. That point appears to be now. The demographics of urban areas is rapidly changing and the inevitable march to previously minority populations becoming the majority is in full charge. As those largely ethnic groups grow to majority status they gain the local political power that comes with their potential at the ballot box. City Councils, Boards of Supervisors and even Mayors – all being political animals – see the writing on the wall and appreciate that the power balance is changing. As minorities move to majority, they inevitably and understandably seek greater equity in the allocation of government funds to support their organizations and their needs. That, in many cases, they have sought a greater piece of a shrinking pie for some time, and have been, in one way or another, rebuked has left them resolved now to redress their grievances. The power vacuum has changed. This is true in the arts sector as in other sectors. Much of local government funding has for a long time gone to the established white cultural organizations (arguably at the expense of multicultural groups). And now, with power, those groups want a change. In some quarters, good willhasn’t been helped by what is (legitimately or not) perceived by the multicultural community as arrogance and patronization (either implicit or tacit) by the dominant cultural community. In some places, this has created a storehouse of resentment. 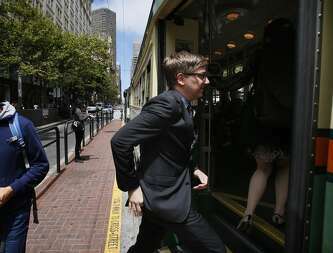 And now a version of that scenario has come to the fore in San Francisco – and it has the potential the get ugly and to pit one segment of our field against another – with equity being the watchword, but with undertones of charges of racism. And it may very well be a divide and a fight coming to your community. Some background: San Francisco is both a city and a county. The San Francisco Arts Commission is the official local arts agency for both. It’s funding comes principally from the City and County budget. Grants for the Arts is a separate organization that gets a percentage share of the local TOT (Hotel tax) funds, and it is that organization that dispenses the lion’s share of the funding to local arts organization grantees. The Arts Commission has a program that awards grants in an Equity Program designed to support local multicultural arts organizations (and it also administers the local public art programs and provides other services to the local field). Both organizations are under the control of the Board of Supervisors and the Mayor. There was an attempt a few years ago to combine the two by the Mayor’s office into a Cultural Affairs Department based on the recommendations of a widely publicized task force, but there was substantial opposition and the proposal died on the vine. Apparently, the major cultural institutions had their paid lobbyist fight the change. Unquestionably, politics was, and is, involved in the San Francisco Arts ecosystem on this and other matters. Both organizations are led by capable, locally experienced, seasoned leaders – Kary Schulman at Grants for the Arts and now Tom DeCaigny at the San Francisco Arts Commission. I know both of these individuals, and both (to my mind) have a legacy of trying to be supportive of the arts in San Francisco – all the arts – but this potential chasm in the community puts both organizations, and Kary and Tom, in the proverbial “between a rock and a hard place.” I don’t envy either of them having to meet this challenge. It will call on not only theirs, but the whole of the arts community’s best efforts to deal with this – if it gets out of hand. I got two emails on Wednesday of this week. The first was from the San Francisco Arts Town Hall – a four year old (+ or -) ad hoc local advocacy group that sought to reach out to candidates for office to ascertain, and encourage, those candidates to be arts supportive – and with notable success. The composition of the organization was fairly representative of the whole of the community and had seeming widespread support. The email had to do with a proposal to take one million dollars from the Grants for the Arts budget and transfer those funds to the SF Arts Commission to provide greater funds for its Cultural Equity Grants program. “URGENT: PLEASE REACH OUT NOW! We have heard reports from City Hall that there is a proposal to cut funding to Grants for the Arts by $1 million. The proposal would transfer these funds to the Arts Commission to fund cultural equity grants. Cultural equity is an extremely important issue that needs to be addressed and this isn’t the right way to do it. A $1 million cut to Grants for the Arts (GFTA) would be devastating to arts organizations that depend on GFTA for operating funds. Arts organization and artists need more funding during these difficult times. Pitting arts organizations and City agencies against each other won’t help solve our bigger problems. We need to work together to find more resources for cultural equity grants – not cut funding for the arts to fund them. Please help stop this devastating cut by emailing the Supervisors now! They are meeting this week to discuss this budget and we need to speak up on behalf of the arts community in San Francisco. Just cut and paste the email addresses below and use our draft as a template. I have no idea who is actually behind this move or how widespread the support for it is. “Come to a Budget Justice Rally at City Hall Friday June 20 at 9:00am to Protest Severe Cultural Inequity in Arts Funding Stay for Public Comment at the Board at 10:00am(write the Board of Supervisors telling them to support cultural equity)City Budget Analyst Report Proves Grants for the Arts policies reflect the same funding priorities of a long by-gone era (1960), when 82% of San Francisco’s population was white. “Members of the San Francisco Board of Supervisors, outraged by the findings of a report by the City Budget Analyst on the Grants for the Arts program, are considering giving a million dollars from the discredited agency’s budget to the Cultural Equity Grants program at the San Francisco Arts Commission. Instead, in 2013-14 GFTA increased funding for white organizations by a quarter of a million dollars whilst those representing people of color remained unchanged. The subsequent report confirmed that virtually no change had taken place during the past 25 years. Since then, GFTA has just released its 2014-15 grant awards: funds to organizations of color increased by six–tenths of one percent. At its current rate of change, GFTA will not achieve cultural equity until the year 2061. GFTA’s funding for arts organizations reflecting people of color has not changed in over a quarter of a century, even though the demographics of the city’s population has changed significantly in that time. That in 2012-13 while people of color represented 57% of San Francisco’s population, GFTA funding allocations to organizations from this sector of the population was 23%. The report also found that from 2006-07 to 2012-13, the Agency had reduced the percentage of its funding awarded to arts organization of color and it was trending down. Further, the report goes on to say that GFTA has no plans to alter this allocation or the funding mechanism through which it makes its funding decisions. The Budget Analyst’s findings has also led to a renewed call for reform through creation of a Department of Cultural Affairs, as recommended by the San Francisco Arts Task Force in 2006–something that City Hall, at the behest of Ms. Schulman, has resisted implementing. The Task Force Report explained how San Francisco’s decentralized and dislocated arts funding of approximately $75,000,000 a year (as highlighted in the Budget Analyst’s report) resulted in little coordination, strategic planning, transparency or accountability. GFTA’s practice of awarding public funding based on an organization’s current budget size produces an arts community similar to the national economy, in which the affluent accumulate wealth while the rest of the population struggles to make ends meet. The agency’s policies represent a form of bureaucratic “red-lining”: they promote inequality and discrimination without being patently illegal. In 1992, the Mayor and the Board of Supervisors declared that pursuing and respecting cultural equity was the City’s arts policy; in the City Budget Analyst’s study of GFTA, the agency’s Director repeatedly insists that because she is not mandated to diversify her funding, she does not keep statistics on this matter and is therefore not responsible for the inequities of her outcomes. Apparently, only the Mayor and Board of Supervisors can or will correct this situation. Once an organization is added to the GFTA roster it typically stays there: some organizations have been on the roster since 1961 when GFTA was founded. But over the past 50 years, while San Francisco, California and the nation have experienced powerful demographic shifts, GFTA’s annual grant awards have consistently reflected the cultural biases of the 1950s: art is for the affluent and hyper-educated; classical music, opera, ballet and big museums are what really matter. GFTA’s practices have institutionalized cultural discrimination: its policies guarantee that non-profits serving affluent white audiences will annually receive a disproportionate percentage of the City’s annual investments in the arts, to the detriment of the rest the arts community as well as to the City’s long-term financial interests. Many small groups—particularly Asian and Latino organizations–whose applications have repeatedly been rejected and have simply stopped applying. GFTA’s policy of giving its largest grants to organizations with the largest budgets (all of which are rooted in western European culture), disproportionately supports white organizations that have accumulated substantial endowments over the past century. For half of this time, other communities were subjected to legalized discrimination and did not develop similar resources. For example, the Chinese Exclusion Act was still law when the San Francisco Symphony was founded in 1911 and when the SF Opera was founded in 1923 and the SF Ballet in 1933. GFTA’s discriminatory and short-sighted policies adversely impact the agency’s stated goal of attracting visitors to the City. Residents of the surrounding Bay Area counties have always comprised the vast majority of these visitors and The US Census Bureau projects that in 2050, only 28% of the Bay Area’s 10 million residents will be white. It is clearly in the City’s long-term economic interest to maintain its position as the center of the region’s cultural production; however, to achieve this goal in the future, the City will need to promote the evolution of a culturally diverse non-profit arts community. ‘The San Francisco Arts Commission’s grant making programs are committed to supporting and building cultural resources for our City’s diverse arts communities. The SFAC stewards the Cultural Equity Endowment Fund, the Neighborhood Cultural Centers Fund and other City resources to foster the values and increase the impact of cultural equity and neighborhood arts. The SFAC supports San Francisco artists, arts organizations, and historically underserved communities through grants, technical assistance and capacity building, economic development, arts education initiatives and community-based Cultural Centers. mid-and large-budget arts institutions whose programming reflects the experiences of historically underserved communities flourish. Note: I believe the $75 million arts funding budget referred to in the above email is the combined total of the SF Arts Commission, Grants for the Arts AND the money expended by the City of SF to maintain the large budget cultural organization buildings which the City owns – funding which inures indirectly to the organizations housed in those buildings. Claims on both sides will need to be verified. And so it would seem there is a potential fight brewing, one that may already have the seeds of acrimony planted. In any fight, there are always two sides to the story. Dismissing the claims of either seems ill advised, but lines are being drawn and positions staked out. Posturing is likely to follow. An extraordinary e-mail written by BMWL & Partners (the official lobbyists for the City’s largest and most powerful arts organizations including the SF Opera, Symphony and Ballet) and distributed through the San Francisco Arts Town Hallwebsite/e-mail server yesterday attacked the City’s arts organizations of color and LGBT artists as “fringe elements of the arts community” for daring to protest the inequitable funding distribution at GFTA. The accusation that anyone who supports cultural equity is a “fringe element” lets us know exactly what these organizations think about most of the City’s artists. Artists and arts organizations representing people of color have for many years bemoaned the lack of equity at GFTA, but became particularly incensed when the City Budget Analyst published a report on GFTA funding practices in March that proved their point: that while people of color are 58% of the City’s population, they receive only 23% of GFTA money. Members of the Board of Supervisors sitting on the budget and finance committee were equally outraged by the report and even more so by the fact that the director of GFTA did not seem to think that her agency’s clearly discriminatory policy was a problem and had no plans to change it–despite making assurances to the contrary when she appeared before the Committee last year. As they discussed the budget it became clear to the Supervisors that there should be some kind of measure that registered their strong priority for GFTA to change its policies and equitably fund organizations that represent people of color. Note: Included in the email was a graph (that would not reproduce well for this post) that indicated the percentage of GFTA funding that went to the ‘white’ arts community was approximately 78% of the total. Also, I could not locate the purported email from the lobbying firm, and the only other email I received from the San Francisco Arts Town Hall was a call for the arts community to lobby the Board of Supes for more money for the SF Arts Commission’s Equity Program, but not to take money from GFTA – a solution that may be problematic if there isn’t any more money, and which somewhat begs the question of equity in allocation long term. .
Not allow any increase in funding to GFTA. Any new monies should go to the Cultural Equity Grants program. Increase the annual funding allocation to the Cultural Equity Grants program at the San Francisco Arts Commission. Make any future fundraising increase to GFTA be contingent on the department’s efforts to achieve cultural equity. I have no idea how this will play out in the short run, or what action the Board of Supervisors might take. (As of this writing the results aren’t yet in). The current Board has substantial multicultural representation on its membership. I do not know when a final vote or decision will be made, but as this is a budget issue, the budget calendar theoretically has time constraints.). The issue is money and how it is allocated – compounded by a history. On one side you have at least some members of the multicultural arts community and on the other the more established (and white) organizations. And the strong local foundation community will have a stake in this outcome too. It is a situation that has been brewing for a long time. How San Francisco deals with this conflict; whether or not it can manage it and maintain a civility and unity within the arts community, and whether or not it can find a way to broker an acceptable compromise that will satisfy some of what each sides wants (and my advice to them is to remember that a successful negotiation has little to do with what your side wants, but rather what to do with what both sides need to reach a consensus) remains to be seen, and very well may frame the issue for other communities. One way or the other, I don’t think the issue is going away. And I think it may yet play out all across the country as the times change. Unfortunately the local government funding pie is simply too small to meet the legitimate needs and demands of the entire community. And realistically there is no alternative to government funding (federal, state and local) to make up the shortfall that we are experiencing. And our efforts to increase government funding to meet the demand have not succeeded. Somewhere compromise will need to be made – at least if we are to avoid the trap of thinking we are our own enemies. We have more than enough enemies outside ourselves. Exacerbating animosity between factions within our community will have negative consequences for all of us in the long run. As we, in my generation, were advised in kindergarten: It is important to learn to play nicely with everyone. I think in the near future the established cultural sector will no longer be able to claim a disproportionate allocation to itself – irrespective of whatever theory it puts forth to justify its claims. The shift in political power will eventually change the dynamic, and as that power shifts so will the funding. More minority voters will inevitably mean more minority office holders – as the minorities become in many cases the majority – [though I note the unique situation in the (relatively small) City of San Francisco where housing prices (purchase and rental) are escalating in response to demand to the point where all but the wealthy are being driven out of that market to some degree and that may impact the growth of minority power accumulation]. As the composition of local governing bodies changes to reflect changing demographics, the Large Budget Organizations will likely not be as successful in their formal and informal lobbying efforts to protect their status quo. Demand for equity by the multicultural communities will inevitably grow and put pressure on all funders – and a more equitable distribution of funds will likely mean less funding for the current recipients (it will have to come from somewhere). I think the days when multicultural arts support is its own “special” category are numbered, and the former majority cultural community – at least in certain urban areas, if not everywhere – will find its preferred status over. And as costs of doing business for arts organizations escalate, income decreases and shifts (funding, foundations, other philanthropic support and audiences), we are likely to see more closures and failures by organizations who will become economically nonviable. And all the improvement in our business skills won’t likely be enough to “market” our way out of this reality without substantial government support – and that seem problematic at best. This is the tip of the iceberg. As Bob Dylan sang to my generation: “The times they are a’changing“. I will try to report back on what happens and any positions put forth by either side in this conflict, or by other interested parties. The challenge of nurturing and supporting multicultural arts provision in an equitable manner, and protecting the integrity and viability of our established cultural organizations and that ecosystem – but no longer at the expense of multicultural or other communities – is likely thechallenge for the arts in the next decade. It won’t be easy. Stay tuned. Okay, so imagine a world where public funds were the primary source for creating great restaurants in San Francisco. For 25 years, those public funds were distributed through “Grants for the Restaurants” to create French, German, Italian, and “American” restaurants for all San Franciscans and tourists to be lifted to fine dining heights. Soon thereafter, the so-called minorities started to complain that these restaurants didn’t appeal to their palate, weren’t in their neighborhoods, and were too expensive. Since they paid taxes just like everyone else, well…that pissed off these people of color and their allies. Visitors and tourists also began to ask for different options. But still, people of color said that’s not enough, restaurants are economic engines for our communities. So GFTR then said, “Okay, we’ll hire some of these minorities to work for us,” and they began to hire Black bus boys, Chinese kitchen help and even a lot of Mexican cooks. “Fringe members of the arts community”, is that code for people of color? URGENT: PLEASE REACH OUT NOW! Just who are the ‘fringe’? Those are the people who are on the outside, who don’t have access and equitable resources right? These ‘fringe‘ communities have been historically hurting, not only during these economic times for for generations. These ‘fringe‘ communities have not had access to Grants for the Arts – and this fact laid out by the City of San Francisco’s own Budget Analyst Office (which was not referenced in the Arts Town Hall email). By that definition, then yes these LGBT and communities of color are fringe. But if LGBT and communities of color population are ‘fringe’, who are the people who are casting the ‘fringe’ designation? Pitting arts organizations and City agencies against each other – Just who is pitting? The issue the supervisors are addressing is cultural equity and accountability. If Cultural equity is an extremely important issue then why is this considered ‘pitting’? Shouldn’t all stand behind these decisions because the status quo has perpetuated racist results? Justice is only inconvenient to those who benefit from the status quo. Do not get swayed by these arguments.